New information about artificial intelligence, RPA and other technologies. Regulatory and compliance issues. Changing customer demands. These are just some of the factors driving large organizations to re-architect their business processes and adopt new digital transformation strategies. To remain competitive, enterprises must find ways to more efficiently manage data flowing through the organization now. ABBYY has partnered with leading vendors and consultancies to explore how intelligent technologies are impacting digital transformation in today’s organizations. Join us to discuss how artificial intelligence, natural language processing and machine learning are improving context and understanding for high value data that in turn accelerates transactions, improves business outcomes, and drives revenue. technologies like RPA, artificial intelligence, and intelligent capture. from market leaders and consultancies about their direct experiences with digital transformation projects. with a variety of companies throughout Europe to exchange ideas, share experiences, and build new relationships. 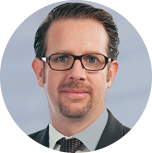 Markus Pichler is Vice President of Global Partnerships and Alliances responsible for driving ABBYY channel sales and global partnership initiatives. Markus has more than 15 years of experience working in information capture and data and document management, and has served in a variety of roles, including director of product marketing for ABBYY, and product management positions at arvato. He is a frequent speaker on information and document management related topics in press and on conferences. 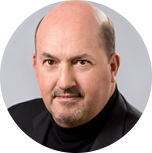 Mike has over 30 years of leadership in business process optimization, sourcing, and strategy. Currently, he focuses on providing digital labour and outsourcing direction to KPMG Management Consulting clients. As a part of the digital labour strategic task force, he provides intellectual property and direction around financial aspects of digital labour including opportunity analysis and business case development. Mike is the co-author of Capitalizing on robotics: Driving savings with digital labour, a white paper based on his experiences helping clients assess the expected financial impact of digital labour. The white paper evaluates the unique savings drivers of the 3 types of digital labor as well as the overall savings drivers associated with digital labour. In addition, he brings his experience as a Value Architect to develop future state scenario models, financial analysis of business practices, and examination of deal structures for large scale ITO, BPO, and shared services opportunities. Previously, he was at EDS, Compaq and EquaTerra where he led client IT and other corporate function leadership teams through operational and financial assessments of current operations, analysis of cost drivers, and development of cost reduction strategies. Now that there is general acceptance of the need for automation driven processes, people are asking when, where, and how they can apply digital labour as a differentiator. The answers rely on understanding the financial investments required, and setting expectations on timing and magnitude of the associated returns. This session will address the various classes and strategies of “going digital,” and the financial impacts. It will also explore common themes to all digital projects with an emphasis on three classes of automation: RPA, enhanced process automation, and cognitive automation. Bruce Orcutt is a veteran Product Marketing and Product Management professional with over 20 years’ experience in Enterprise Software. In his current role, Bruce drives global product marketing building go-to-market strategies that will accelerate the adoption of ABBYY solutions worldwide. 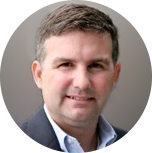 Bruce joined ABBYY in 2015 as Vice President of Product Marketing for the North American markets. Prior to joining ABBYY, Bruce was the Senior Director of Product Marketing at Kofax, Inc. responsible for the mobile products, platform and solutions. Bruce has successfully developed and launched global enterprise software products, platforms and solutions for Financial Services, Insurance, Transportation, Manufacturing, and Government with an emphasis on accelerating transactions, improving competitive advantage and reducing costs. Beyond just the buzzword, digital transformation is crucial for today’s business. But what does it really mean? And what does the Digital Transformation Ecosystem really look like? In this session we will discuss the different market drivers for digital transformation and outline some of the key technologies propelling transformation projects forward. We will cut through the hype and focus on trends that will be impacting our business going forward. Andrew has over 10 years experience as a Software Engineer and Solution Architect, designing and building large enterprise applications for global companies. 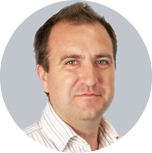 In 2013, Andrew joined at start-up called Genfour as their CTO, focusing on Intelligent Automation. Over 4 years he drove the technology strategy, industrialised the implementation approach, and built strong partnerships with a number of different software providers. In April 2017, Accenture acquired Genfour to expand their Intelligent Automation capability in Europe. 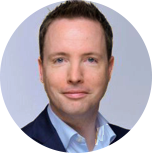 Andrew now works for UiPath as their Product Director, driving innovation and helping partners to deliver industry strength automation. Everyone is talking about RPA and the potential impact on business. What can it really do and how are companies looking to take advantage of this capability? Industry leading RPA platform provider UiPath will share their insights and customer experiences. The session will also provide a glimpse into their vision to provide clients with intelligent automation capabilities by combining RPA with Intelligent OCR, Machine Learning and NLP. EVP Sales and Business Development, TimelinePI, Inc.
Raising your organization’s Process IQ™ is strategically important to your growth and success. Intelligent process mining is a catalyst to successful Digital Transformation and Process Optimisation efforts. Through automatic collection of process event data captured in your existing IT systems it is possible to automatically recreate a “digital process twin” you can explore, analyze and even monitor in near real-time. It’s now possible to visualize and understand how your operational processes are really executed end-to-end, in all their variations, across any number of systems. Every process should be fully understood before optimisation occurs and there is no reason not to know how they work anymore. Drive digital process transformation with data-driven insights that increase your entire organization’s understanding of how to achieve sustainable process excellence. 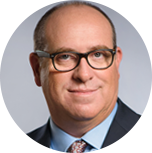 Joseph Rayfield, EVP Sales and Business Development TimelinePI, Inc.
Neil Murphy is Vice President, Business Development, Global Accounts at ABBYY responsible for the expanding the company's business through strategic partnerships. Neil's deep experience working with data capture, cognitive understanding and process automation technologies derives from a multitude of strategic roles at leading organisations such as Kodak Alaris and now ABBYY. While at Kodak Alaris, Neil was responsible for the start-up and development of AI Foundry in EMEA, a technology start-up within Kodak Alaris focused on the AI and RPA markets. 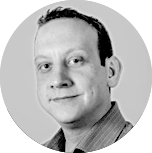 Over the years, Neil has worked with a variety of industry sectors ranging from Finance, Insurance, Healthcare to Government focusing on transforming their legacy approach to back and front office processes such as Accounts Payable, customer onboarding, and consumer loyalty programmes to name a few. How are today’s companies facing the challenge of addressing digital transformation today? What are the main driving factors and challenges they are faced with? Panelists from leading consultancies share their experiences, recommendations and predictions. 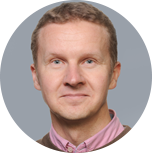 Ossi Nykänen is the Chief Research Engineer at M-Files Corporation, where he develops smart solutions and supervises related technical work. M-Files is a leading, visionary company specialized in intelligent information management — accessing content based on what it is, not where it is stored. Prior joining M-Files, Ossi worked some 20 years in the field of applied technical research with numerous international companies and academia with Tampere University of Technology (TUT), and served as the Finnish Office Manager for the World Wide Web Consortium (W3C). Ossi is Adjunct Professor in Semantic Computing and Hypermedia Technologies, and holds degrees of D.Sc. (Tech) in Mathematics and M.Sc. in Computer Science. Intelligent information management means that you can easily find and utilize your business critical data in any system or device, based on what it is, not where it is stored. Machine learning and Artificial Intelligence (AI) offer the potential of analyzing and acting upon large volumes of data, based on little direct end user interaction. In this presentation, we discuss the key elements of intelligence information management, and the role of (narrow) AI in the setting. Anthony Macciola is a seasoned veteran of the tech industry, with over 30 years of experience in software, hardware, and algorithm development. He joined ABBYY's Executive Management Team as Chief Innovation Officer (CIO) in October 2017. In this role, Anthony’ formulate ABBYY's market-focused vision and strategy for driving innovation and new product concepts. Prior joining ABBYY, Anthony held several leadership positions at Kofax, where he rose to become Chief Technology Officer (CTO). As CTO, he was responsible for, among other things, initiating and directing the company's mobile capture, text analytics, natural language processing, and image processing technologies. Before joining Kofax, Macciola served 3 years as the global VP for Marketing at Lantronix, a leading provider of embedded networking technology. Anthony also worked for UK-based Xionics where he was instrumental to the company’s successful establishment in the U.S. and Australian markets. Today’s latest technologies are not just about driving faster processes, they are about better management of information to provide enhanced customer experiences and new business insights. In this session, we how the latest intelligent technologies help deliver this insight and provide - Content Intelligence. How intelligent capture is complementary to RPA tools when it comes to automating content centric processes. Specific content centric use cases in industries in banking, manufacturing, logistics, and finance and accounting. The business case and ROI that RPA plus intelligent capture can deliver. A deep dive in some of the more complex and successful solutions based upon ABBYY FlexiCapture. This session will cover some of the latest use cases including issues and challenges faced, requirements for the project, and the resulting solutions. The latest release of the FlexiCapture platform incorporates a host of new capabilities to help automate and accelerate data-driven processes. This session will discuss these offerings and their benefits in a variety of horizontal and vertical industries. Also included is a discussion of how FlexiCapture connects to a variety of third party systems. Finally, an update on how mobile capture delivers benefit and value for key parts of the business process. Customers are exploring the benefits of cloud-driven services. What does it mean to offer Data Capture via a cloud-based service? This session will discuss alternative deployment methods including a discussion of the differences between a cloud infrastructure vs. an on premise solution. 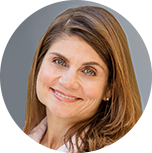 Daneen Storc is responsible for building and expanding ABBYY’s relationships with key global partners, and for leading the marketing direction and strategic vision for ABBYY’s invoice processing and accounts payable (AP) automation products and solutions. Prior to ABBYY, she worked at Lexmark Enterprise Software (Kofax) and ReadSoft in product marketing roles serving as conduit between the market and the company, and evaluating AP automation projects of companies ranging from small businesses to Fortune 100. She holds an MBA in Marketing Management from Loyola University of New Orleans. Companies continue to invest in invoice automation at a higher rate than overall software spend. Come hear about the latest trends in invoice automation buying decisions and deployments, and find out how to best leverage and differentiate FlexiCapture for Invoices. This session includes a behind-the-scenes glimpse into some of the top FCI projects from the past year and provides concrete ways for partners to support this viable and compelling market. Anthony Macciola is a seasoned veteran of the tech industry, with over 30 years of experience in software, hardware, and algorithm development. He joined ABBYY's Executive Management Team as Chief Innovation Officer (CIO) in October 2017. In this role, Anthony’ formulate ABBYY's market-focused vision and strategy for driving innovation and new product concepts. Prior joining ABBYY, Anthony held several leadership positions at Kofax, where he rose to become Chief Technology Officer (CTO). As CTO, he was responsible for, among other things, initiating and directing the company's mobile capture, text analytics, natural language processing, and image processing technologies. Before joining Kofax, Macciola served 3 years as the global VP for Marketing at Lantronix, a leading provider of embedded networking technology. Anthony also worked for UK-based Xionics where he was instrumental to the company’s successful establishment in the U.S. and Australian markets. 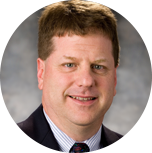 Mike has over 30 years of leadership in business process optimization, sourcing, and strategy. Currently, he focuses on providing digital labour and outsourcing direction to KPMG Management Consulting clients. As a part of the digital labour strategic task force, he provides intellectual property and direction around financial aspects of digital labour including opportunity analysis and business case development. Mike is the co-author of Capitalizing on robotics: Driving savings with digital labour, a white paper based on his experiences helping clients assess the expected financial impact of digital labour. The white paper evaluates the unique savings drivers of the 3 types of digital labor as well as the overall savings drivers associated with digital labour. In addition, he brings his experience as a Value Architect to develop future state scenario models, financial analysis of business practices, and examination of deal structures for large scale ITO, BPO, and shared services opportunities. Previously, he was at EDS, Compaq and EquaTerra where he led client IT and other corporate function leadership teams through operational and financial assessments of current operations, analysis of cost drivers, and development of cost reduction strategies. Ossi Nykänen is the Chief Research Engineer at M-Files Corporation, where he develops smart solutions and supervises related technical work. M-Files is a leading, visionary company specialized in intelligent information management — accessing content based on what it is, not where it is stored. Prior joining M-Files, Ossi worked some 20 years in the field of applied technical research with numerous international companies and academia with Tampere University of Technology (TUT), and served as the Finnish Office Manager for the World Wide Web Consortium (W3C). Ossi is Adjunct Professor in Semantic Computing and Hypermedia Technologies, and holds degrees of D.Sc. (Tech) in Mathematics and M.Sc. in Computer Science. Chris Gayner is the Director of Symphony Labs, a network of clients, partners and leading minds in the digital eco-system, aligned to solve some of the biggest challenges business leaders face around the future of work. As Director of Symphony Labs, Chris is responsible for the identification, experimentation and showcasing of new solutions – for both Symphony and its clients. Prior to Symphony, Chris was the Sales & Marketing director for Genfour (now Accenture), an early pioneer in RPA - where he established the company as a commercial and brand leader in automation technology, expanded its global footprint and helped position it for a successful exit. During his time at Accenture, Chris was the Go to Market lead for Automation Engineering Services – responsible for education and harmonisation of automation-related activity across UK&I. Chris is also a contributor to The All-Party Parliamentary Group on Artificial Intelligence (APPG AI) and commentator on all things related to RPA, Intelligent Automation and AI. Based in the UK, but practice lead for Cognitive & AI across Europe for ISG, Wayne is responsible for all Cognitive Automation deployments across EMEA, either building on existing RPA deployments or moving straight into Cognitive. Working with clients across the UK and Europe, Wayne is very hands on, and personally leads the Engagements in this new and exciting tech space, making use of technologies like Virtual Agents, Intelligent OCR and Automated Decisioning to increase the reach of automation tech into new areas of the business. Sven Manutiu is Managing Director of Roboyo. For over 10 years he has been dealing with the question of added value in companies and how this can be supported and raised to a new level through intelligent automation. After founding his first successful start-up and years as consultant, he co-founded Roboyo where he is responsible for development, innovation and the RPA Academy. Sven Manutiu studied Business Administration and Information Systems at the University of Passau and the Indian Institute of Technology in Madras. This one day course covers the features and capabilities of ABBYY FlexiCapture 12. It will conclude with an exam for attendees holding an existing FlexiCapture Certification. Successful completion of the exam will update the attendee’s certification to FlexiCapture 12. Attendees without FlexiCapture Certification are welcome to attend the training, however, please note that the material presented will assume a certain degree of technical familiarity with FlexiCapture and will not cover pre-FlexiCapture 12 functionality. Unfortunately the training session is at maximum capacity. To learn about other re-certification trainings, please contact the ABBYY Training Team. Event sessions will take place at the Hesperia Madrid, a contemporary hotel located directly on El Paseo de la Castellana - in the heart of business, shopping and culture of the city. The ABBYY Business Exchange Europe 2018 has already taken place. Thank you to all of our speakers and guests for joining us for a successful event! We have assembled a list of recommended hotels close to the event location. The following hotels may still have a limited number of rooms available at special rates for ABBYY event participants.